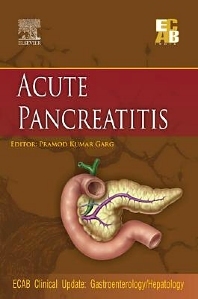 Acute pancreatitis is defined as an acute inflammatory process of the pancreas that may also involve peripancreatic tissues and/or remote organ systems. It typically presents with sudden deep, boring pain that starts in the epigastrium and radiates to the back, which usually worsens on intake of food. It may be of varying severity ranging from mild to severe. Mild disease, if managed promptly and adequately resolves with minimal or no sequelae and seldom leads to extended morbidity or mortality. However Severe Acute Pancreatitis has a longer course of resolution, usually requires hospitalization and has a greater propensity to lead to adverse outcomes. As a thumb rule, it has greater morbidity and mortality rates as compared to Mild Acute Pancreatitis. Understandably, the management protocol for the severe acute pancreatitis is more invasive and emergent, and may require intensive care management. Hence understanding and assessment of the condition in the first 48 hours is a critical step in deciding the outcome. The various assessment criteria that are used to prognosticate and plan the management for this disease have been discussed in this clinical update. Previously, the condition was thought to be caused by infection, but now it is an established fact that it is an acute inflammation of the pancreatic gland with activation of the pancreatic enzymes within the gland leading to its autodigestion. Previously, acute pancreatitis was considered to be mostly associated with chronic alcohol abuse or acute bouts of binge drinking. With the availability of data from recent studies in India and the Asian subcontinent, Biliary disease is emerging as the commonest etiological agent. Extensive genetic analysis and mapping have helped put a cause to the erstwhile "idiopathic" cases. Newer diagnostic modalities and minimal invasive procedures have made the conventional surgeries nearly obsolete now. The rationale and use of antimicrobial treatment in the medical management of the condition has also undergone a change. This clinical update has been designed to update the readers on the important aspects of Acute Pancreatitis. The book has stressed upon various aspects of the condition like the etiology, pathogenesis, diagnosis and evaluation along with an insight into the management approach of the patient including the supportive and nutritional management. Overall, the book presents to the readers an excellent compilation of clinically applicable literature sourced from the most acclaimed physicians in the country. Associate Professor Department of Gastroenterology, All India Institute of Medical Sciences, New Delhi, India.